Yesterday, May 13th, the gold spot price closed at $1294.80, while the silver spot price closed at $19.47. 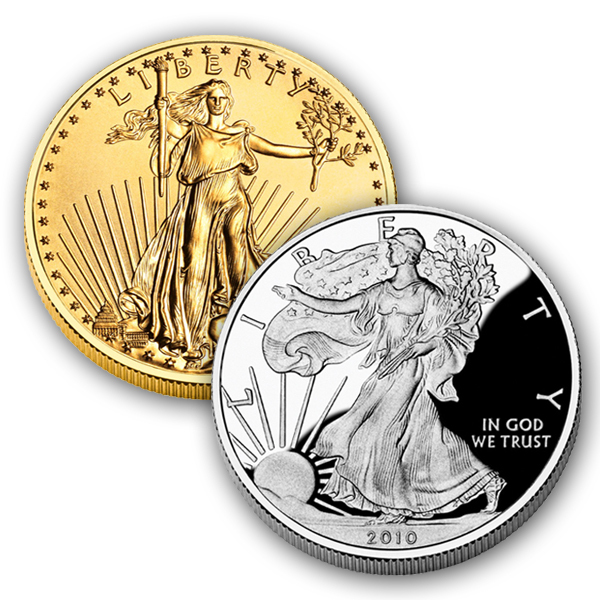 Today, gold and silver have made a sudden rebound after taking a hit earlier in the morning. But why the sudden change in such a short period of time? Recently released U.S. economic data was mixed. It showed an increase in durable-goods orders (goods meant to last a long time) by 2.6%, according to the Commerce Department. This is the largest jump in that number in four months and signals more business spending. Economists were only expecting a rise of 1.8% for March. On a more negative note, jobless claims showed a sharp increase. New claims for unemployment benefits reached 329,000 last week, an increase of 24,000, according to the Labor Department. Economists expected this number to only reach 315,000. Investors seemed to view this international news and U.S. economic data as mostly negative, and therefore turned to gold as a safe-haven investment and drove up its price after a downturn this morning. After reading this it may seem like gold and silver prices are unpredictable and difficult to track, and this is because they are. And why are they so unpredictable? Because the world is unpredictable, and therefore so are gold and silver prices. With precious metals that are used as safe-haven investments in times of panic, events happening even on a global scale that do not seem to have an economic basis can affect their prices. So with gold, there really is no need to keep track of these day-to-day price fluctuations. Gold is meant to be a long-term investment, it is not to be treated like stocks or commodity futures. Don’t wait to buy gold – buy gold and wait. Gold makes a great long-term investment because it will always be there and have value, no matter what is happening in the world. If you are planning on keeping something long term and not selling it anytime soon, why is there a need to know the price of it on a daily basis? Long-term investments are especially applicable to retirement accounts. Why not protect one long-term investment (your retirement plan) with another long-term investment like gold, which has proven to be more stable in value than paper currencies, stocks, and bonds? Call American Bullion today at 1-800-326-9598 to speak with a precious metals specialist about rolling over or transferring your retirement account into a Gold IRA. Piece of gold, peace of mind.